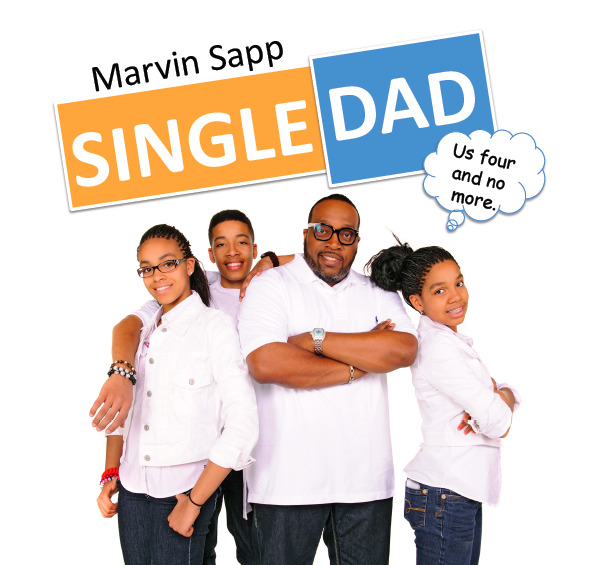 Renowned gospel singer Marvin Sapp will be joining the reality TV world with his new show branded Single Dad to debut soon. The series follows the life of the recently widowed Pastor as he raises his three children (Marvin II, Mikaila and Madisson) whilst pastoring his flock at Lighthouse Full Life Center Church in Grand Rapids, Michigan. Sapp and his teenage children began shooting footage in the beginning of the year. Open River Pictures is now shopping the show to networks for distribution. Tammy Williams, CEO of Open Rivers Pictures, said Marvin entrusted his company to document the second chapter of his and his kids, and expressed his delight in working with him. According to Pastor Marvin, singing and preaching has been a therapeutic outlet, It can be a testimony to others about how God can keep you in a difficult time.